Prior to becoming a full time academic at LSBU Deborah studied MA Industrial Design at the Royal College of Art. She then worked as a freelance designer and designer-maker and was also a visiting lecturer on a number of leading 3D design courses in Bournemouth, Chelsea, Coventry, Farnham and Ravensbourne. In addition to establishing the Industrial (now Product) Design course at LSBU Deborah was also a member of the Mad Dog solar car racing team which inspired her to study for a PhD at Imperial College, the subject of which was Life Cycle Assessment and the Design of Ultra-Low and Zero Emission Vehicles in the UK. Deborah has subsequently applied knowledge of and expertise in sustainable design and manufacture to projects ranging in scale from radiator valves to data centres. Where possible she integrates her research, teaching and enterprise activities (including Knowledge Transfer Partnerships and consultancy) which benefits external clients and partners, researchers and students. 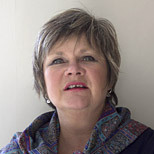 Deborah is module leader for the final year Design Project and Design / Design Engineering Dissertation modules and teaches on Design Futures and Innovation, Human Centred Design and Communications modules on the Product Design and Engineering Product Design courses. She delivers specialist lectures about sustainability, sustainable design and manufacture to students on under and post graduate Engineering courses and supervises MSc projects and PhD research students. Deborah's research interests include: Sustainable design and manufacture, Life Cycle Assessment (LCA) and carbon foot printing, The Circular Economy. Member of the Materials and Sustainability (MS) research team and also collaborates regularly with Refrigeration and Air Conditioning Research. Member of Interdisciplinary Centre for Storage, Transformation and Upgrading of Thermal Energy (iSTUTE) – EPSRC £5.2million grant EP/K011847/1withWarwick, Loughborough, Ulster Universities. Resource Efficiency, New Designs for A Circular Economy: Technology Strategy Board (TSB) grant with industrial partners, The Bond Group, RD&T and Carbon Data Resources. Successful PhD supervision includes EPSRC CASE funded research projects with HP (data centres) and the Bond Group (refrigerated display cabinets). Lead academic on current and complete Knowledge Transfer Partnerships (KTP): Adande (Advanced Design and Engineering Ltd.), Eppendorf CryoTech, IDC (Industrial Design Consultancy), Chalmor Ltd, BBSA (British Blinds and Shutters Association). Andrews, D and Whitehead, B Data Centres in 2030: Comparative Case Studies that Illustrate the Potential of the Design for the Circular Economy as an Enabler of Sustainability.. In: Sustainable Innovation 2019: 22nd International Conference Road to 2030: Sustainability, Business Models, Innovation and Design, 4 March - 5 March 2019, Epsom, Surrey. Venturi, L and Andrews, D and De Grussa, Z The Challenge of Modelling Solar Shading Products and Their Impact on the Built Environment.. In: CIBSE Technical Symposium, 12 - 13 April 2018, London.